Google has officially challenged Facebook to a duel. Google+ is the company’s new social network that operates suspiciously like Facebook, with a major difference: It emphasizes small groups and privacy. After a little research, I predict it might be the very first social network to actually improve our social lives. My first thought when I heard about Google+ was that there was no friggin’ way I was joining yet another social network. I’m already part of Facebook, Twitter, Tumblr, LinkedIn, Goodreads, and the practically defunct MySpace. (My Friendster profile still technically exists, too.) My life is already oversaturated with online identities as it is. I also felt defensive of my old friend, Facebook. Along with Twitter, some of the best articles I read are because someone posts them to their Facebook wall. When I post on my own profile, that goes out to more than 1,000 people. Both are effective ways to organize parties, protests, or entire revolutions. And isn’t the idea of “small groups” elite and exclusive? Isn’t that why Facebook opened up their membership to the entire world? But when I thought about it more, Facebook and Twitter haven’t actually made my social life better. They enhance my career, but not my personal relationships. Sure, the sites let me know about so-and-so’s band or fundraiser, but if they are my “real friends,” I know anyway. They make me lazier, too—I’ve definitely written a “happy birthday” or two on people’s walls when I didn’t feel like calling. The more friends or followers you get, the less you can connect with other people and be yourself and the more you’re performing for an audience. For some, these sites become popularity contests of who has the most friends or the most RTs or comments. For the media, Twitter is often an echo chamber that can quickly descend into navel-gazing. Both are rife with oversharing. We’ve started to take for granted these dynamics of social networking. But does it have to be this way, or could a site actually build on friendships and interests you already have? Granted, other sites have tried to tout their exclusivity. Path started a social network last year that prohibits you from having more than 50 friends, although that still squeezes your whole social world into one awkward group. Google is already the gateway to the internet, which makes it more likely to lure users away from Facebook than a random startup. 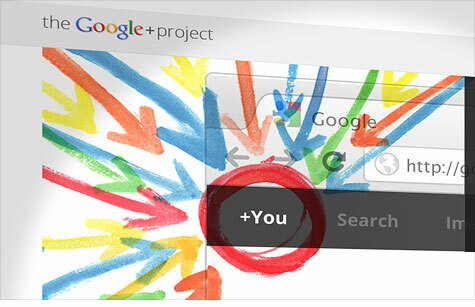 But actually, I see Google+ as serving a completely different function. Facebook and Twitter can mobilize, organize, and disseminate information. It can and will continue to help journalists, politicians, and activists do their work. But sometimes you just want to hang with your friends, and when that can’t happen in real life, something like Google+ could be the next best thing.